We are so excited to begin revving up for chapter elections, transitioning, and the quad conferences! It is our hope you take this resource guide and use it to its fullest potential! We want you to be proud of your chapter culture and take charge of the impact you have on your peers, university community, and community as a whole. We value your voice and we want you to #OwnIt! Our value as an organization comes from our members (that’s you!) and the content you curate. Through planning, hosting, and facilitating events, your involvement is having an impact on many scales. Because of this, we challenge you to take a critical look at programming and opportunities you offer your peers. What are the students who participate in programming gaining from the experience? Are they aware of it? Does your chapter offer a balanced range of activities from professional to team building? Are you sure? It is time to take a tally. The strongest connections you can make are the personal ones. This Spring Membership Month, we challenge you to evaluate who you are as a chapter and what impact you have on individuals, your chapter, and the community. You are able to shape, mold, stretch and skew what your chapter has been in the past and find what baseline value of each of these events is. We challenge you to reevaluate WHY you host events. Are they the right events? What goal or need do they meet? 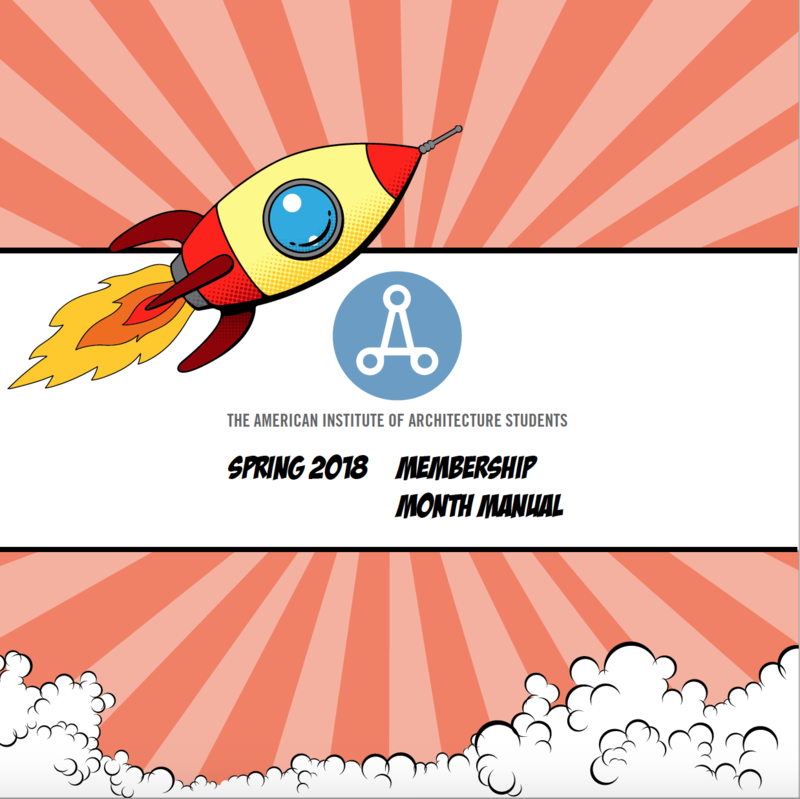 You can find the MANUAL and TOOLS (graphics, background, fonts and a calendar file) to help you create a branded front for membership month!